Ripe, juicy peach and berry flavor combination. Available for a limited time! I was initially very skeptical, because I LOVE peaches. The thought of peach coffee though sounded very different. After trying it, I’m HOOKED. 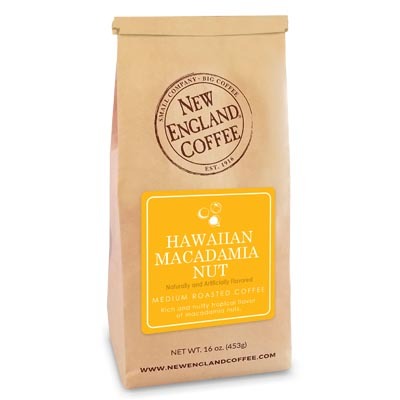 It is one of the only flavored coffees that tastes exactly like it should…peaches! My new favorite…PLEASE KEEP IT AROUND!!! I really hope that it becomes one of the repeat limited time offered coffees. 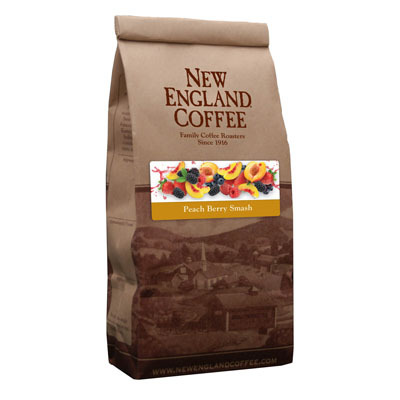 Our first coffee order from the New England Coffee was Peach Berry Smash. Our order arrived quickly and the coffee is AMAZING!!! It tastes like a fresh peach!!! We were so impressed, we quickly ordered other flavors and they are all DELICIOUS, but so far, the Peach Berry Smash is my favorite!